Wassup peeps! I know I have been quite MIA but forgive me, I was in my zone. You know that circular zone that never seems to end even when you want it to?? yea that one but amazingly am back with a bang (am sure happy to be back). While in my zone, I was doing a lot of thinking and I thought about fatherhood and its impact in our lives. It is until then that I realized how a father figure is important to children when they are growing. This realization is mostly inclined to girls as they grow up to become ladies. Have you ever danced with your father? I mean either literally or figuratively? How was the song? Were both of you in sync with the beat or was any of you stepping on the other’s shoe? We all know what discomfort that would cause and it would drive both dance partners away from each other. Soo…let me get out of this bush am beating around, if you are a lady and you never grew up with a good relationship between you and your dad, there will be a new chapter in your future that will have a lot of question, a lot of perceptions and worst of all a lot of rejections because you will always be on a different page with male figures in your life. You will not know what you want from them because you never got the experience of what should be wanted in the first place. why your girl Bee (kisses) is here to square your attention. I have respect for fathers who hold their daughters’ hands, walk with them, and protect them regardless because shows them what a man should do in their lives despite the tides. This in a way empowers discernment in that girchild such that douche bags will always hit their heads so hard if they got something (unworthy) up their sleeves. 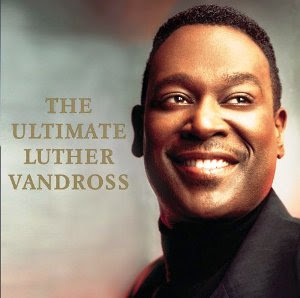 In this spirit, today’s edition of Pen and Paper Point carries immense commending sentiments for the late Luther Vandross. This man had an anchoring voice that would demand your attention even if you was a crook. He made a mark that still exists in classic blues. Oh yea, his soft punches could kill, if you know what I mean. His song Dance with my Father, having been written by Richard Marx creates that longing for a father figure, that intense relationship that no man can put asunder. People, we do not want to regret lost times we did not capitalize in so if you have a daughter regardless of your age, BE A FATHER! It will be meaningful in that girl’s future I promise. Ladies, if you are still in the shadows because of a lost past…you can always redeem yourselves by being enlightened in the powers that you possess as a woman. Take it one step at a time. Here is my love to you beautiful people.